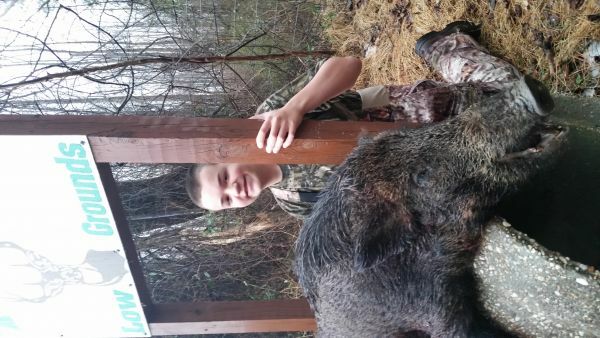 My 14 year old son got this boar on Saturday, about 130 lbs. Already a better shot than me, dropped him in his tracks! Thanks to Brandon @ Toole Low Grounds for being a great guide.